Home > Price reduced in Bear Creek! Price reduced in Bear Creek! Gorgeous home in an unbeatable setting, reduced over $100,000! This mountainside escape is located in the highly desirable Bear Creek area of Alpine Meadows. Enjoy hours of outdoor activities, any time of the year, with a relaxing retreat to come home to. Spend your long summer evenings on the private back patio or those chilly winter mornings cuddled up by the crackling fire. 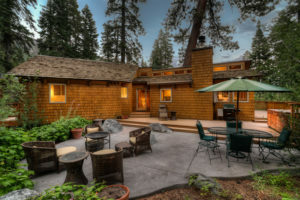 Convenient to Alpine Meadows & Squaw Valley ski resorts, Five Lakes hiking trail, Lake Tahoe, and numerous other outdoor opportunities, as well as an HOA swimming pond and other amenities.